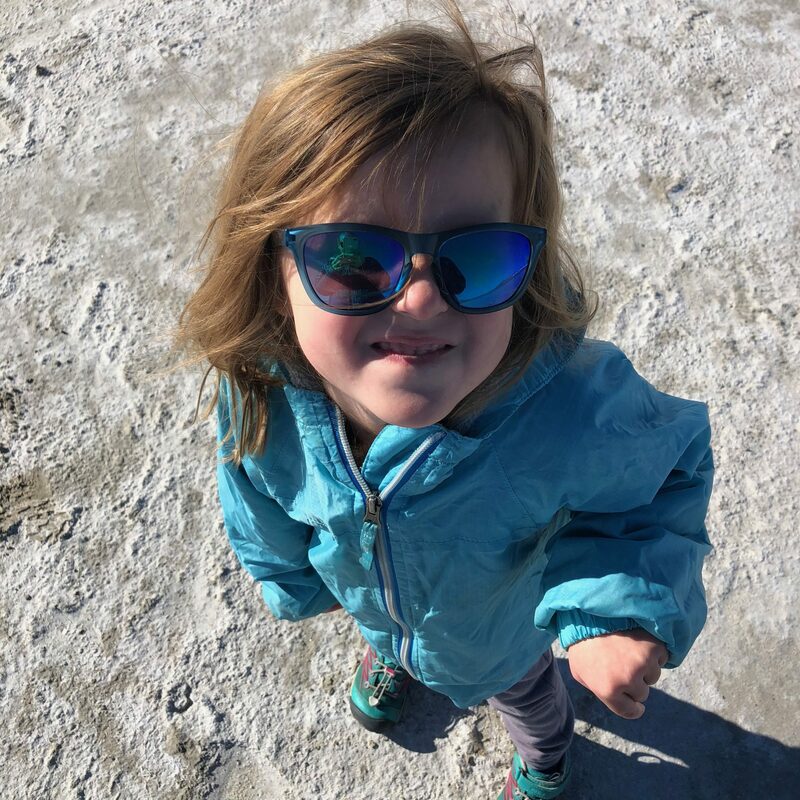 when i left off, i had just taken the kids on a little side trip to great basin national park. while we were having adventures, and driving to and from that park, derek moved along down the highway to the nevada border, which is where we met up with him for a night. the town we were in is mostly chock full of casinos and liquor stores, since dry and boring utah is on the other side. 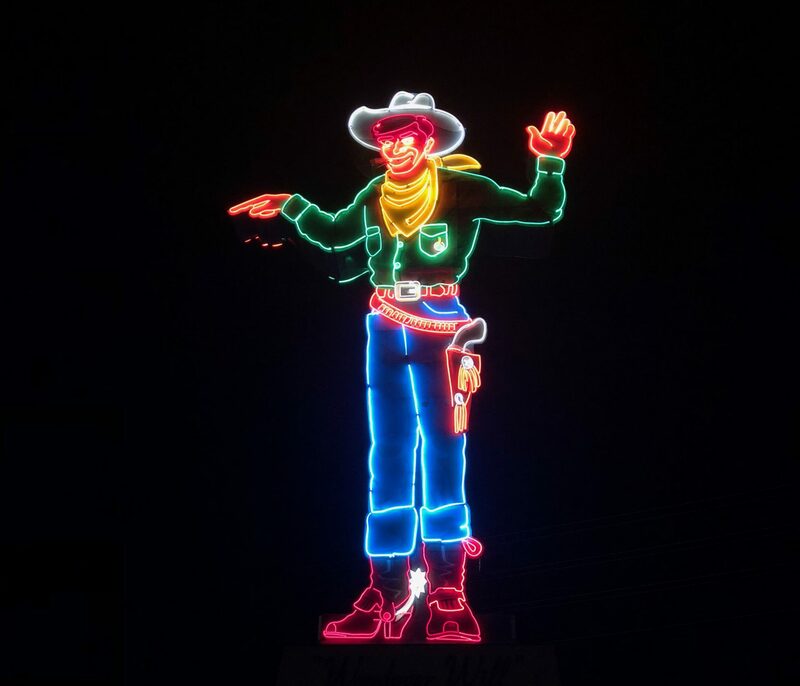 but the number one attraction in town was “wendell willie”, a giant glowing neon cowboy, welcome people to town. so obviously, i dragged everyone over for a picture. 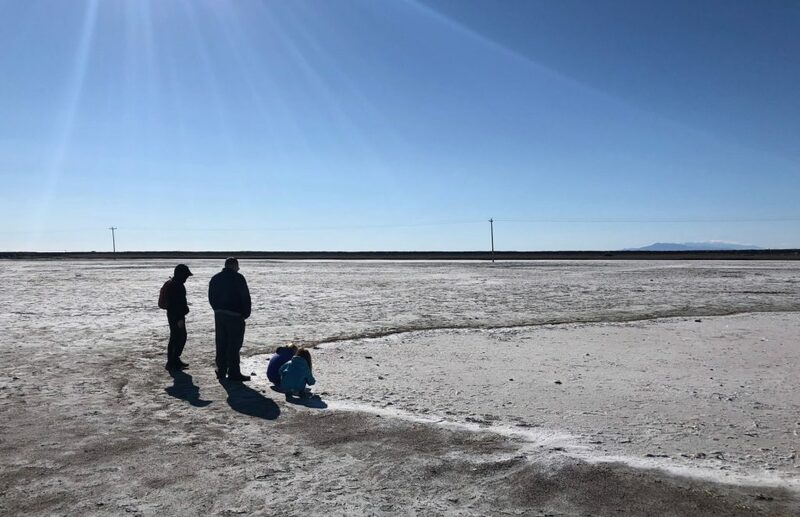 the next morning, we had high hopes to hit up the bonneville salt flats on our way to our next campground. but, it was another disappointment. firstly, the rest stop on the east bound part of the highway doesn’t have much of a view. and there’s no way to get to the west bound stop without driving 30 miles or so down the road to the next exit. also, a lot of the flats were flooded and murky. anyhooo.. we got out for a few minutes anyway, and checked it out. after being in badwater basin at death valley, this place gets a strong “meh” from us. anyhoooo. onto the next campground. 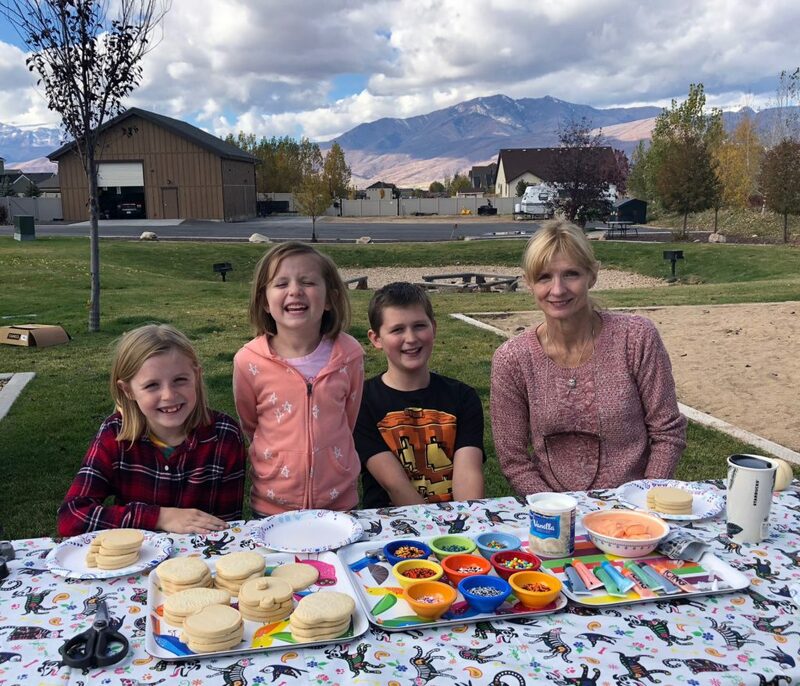 we had two weeks planned outside salt lake city, in heber city, where we have stayed once before. 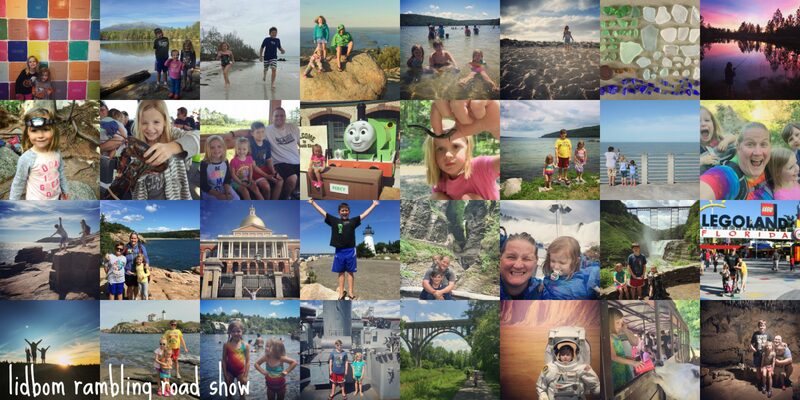 we were excited to be in a real campground, with full hookups, settled in for two whole weeks. for the first week, i did some cleaning and ran some errands and knocked out a quilt. in between my sewing times (when i was attempting to iron and cut), anna hopped in my seat to do a bit of sewing. 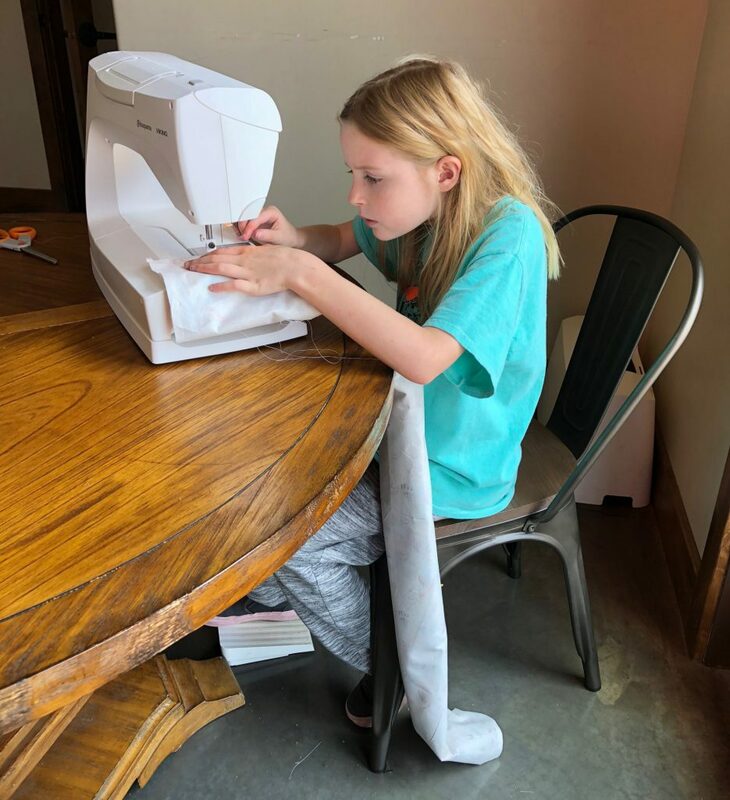 she made a new pillowcase and sewed one more row on her quilt, which is the worlds longest unfinished project. 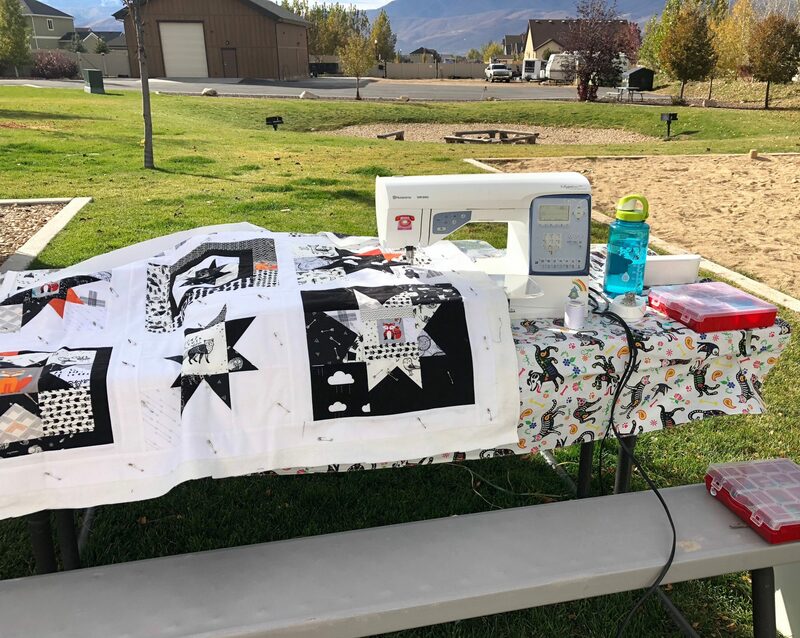 the weather was warm in the day, meaning i could quilt at the picnic table instead of lugging it all to the rec lodge. i think they were tired of me taking over all the surfaces after a few days, too. 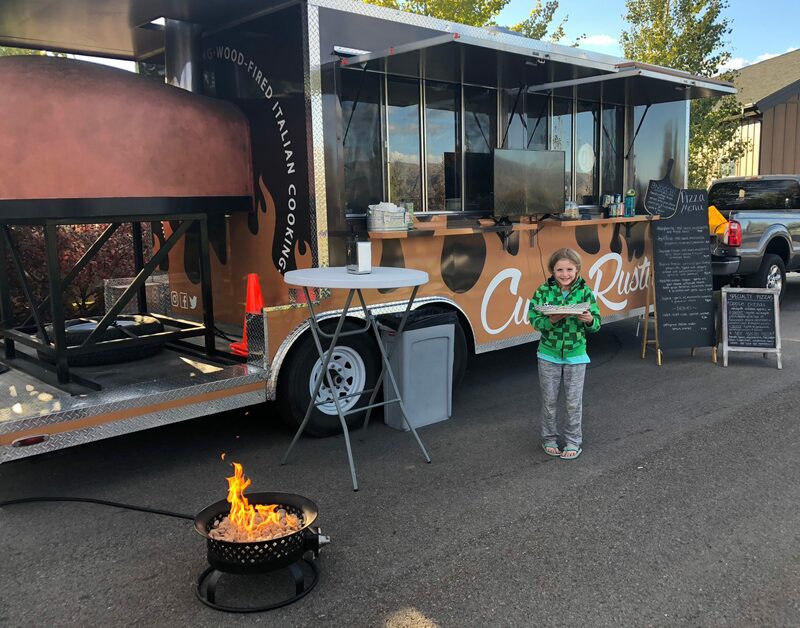 on thursday nights, apparently, a food truck rolls into the campground, selling delicious, wood fired pizzas to the masses. i took anna over to pick up one, but the other two declined the offer. over the weekend, we went into salt lake city, to meet up with some excellent folks that we became friends with back in ws/nc. they are our favorite part of SLC. 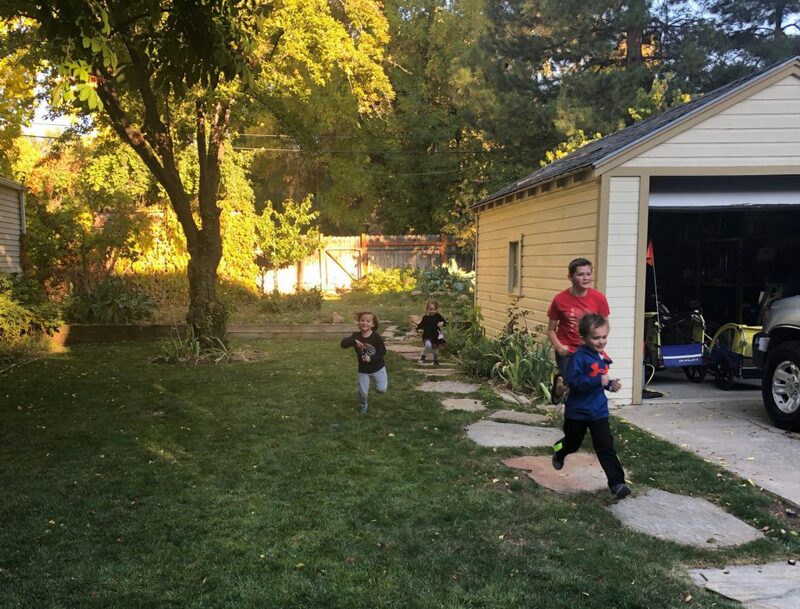 the kiddos picked up where they left off the last time we saw them and started racing around the yard. 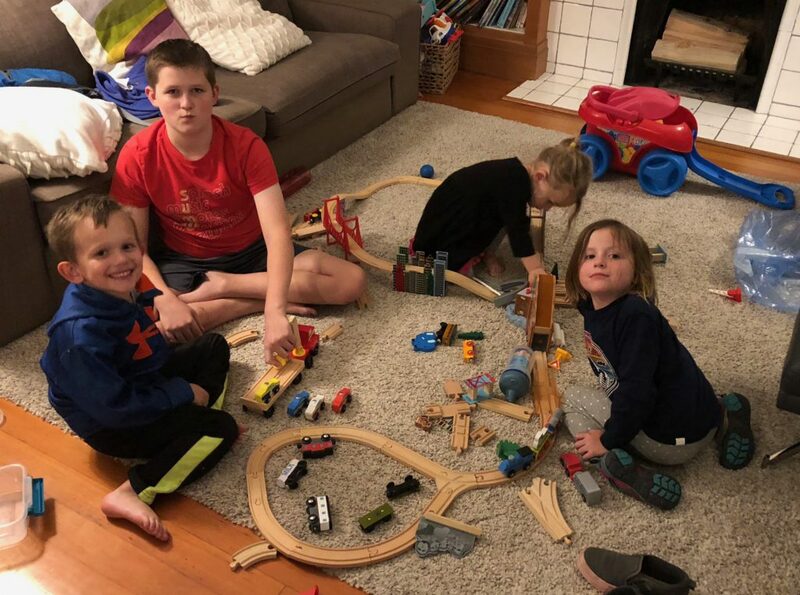 so, for awhile, we have been debating unloading hazel’s train tracks. it’s bittersweet, but she really doesn’t play with them anymore. i asked our friends if they were interested and they told us that their son was just asking about getting more and they definitely wanted them. so, we passed them along, but not without one last hoorah. (we kept some of the favorite actual trains, mostly because i couldn’t part with them). since our campground was like next door to a natural grocer, we stocked up on keto items. 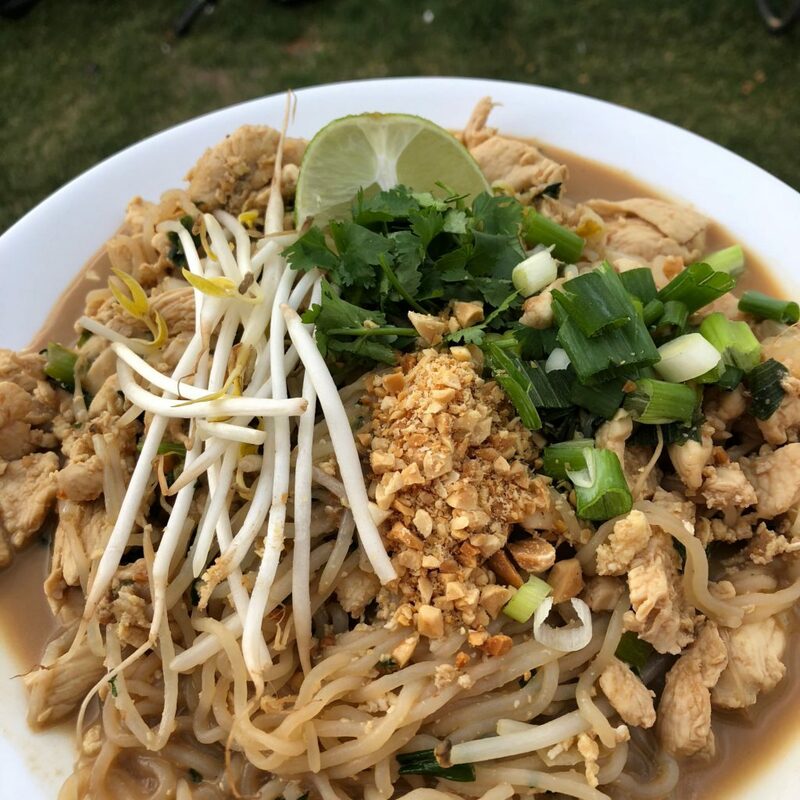 i also had the bright idea to use our shirataki noodles in some keto pad thai and pretty much commanded derek to make it. 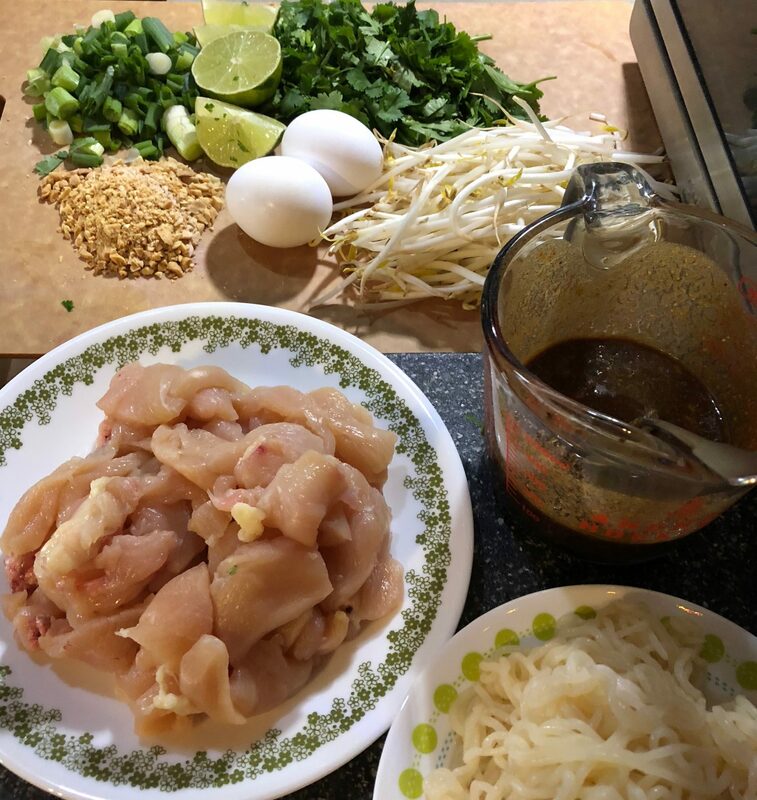 he does a good job staging his prep for me to post on my keto instagram account. the most exciting thing about salt lake city was that my mom was planning to fly out and stay with us for a week. her flight got in at 1120pm in salt lake city, so instead of driving late at night there and back, anna and i decided to leave early and find some way to kill time nearby until she arrived and then only drive home in the wee hours of the morning. first, we went to the patagonia outlet, which was not much of an outlet at all, which threw off our whole schedule. so, we went out to dinner to regroup and plan. we ended up wandering around a barnes and noble for a little bit, where anna did some christmas shopping, and i scouted future read aloud books. then we went to michaels and scored a bunch of halloween and thanksgiving craft stuff for 70% off. 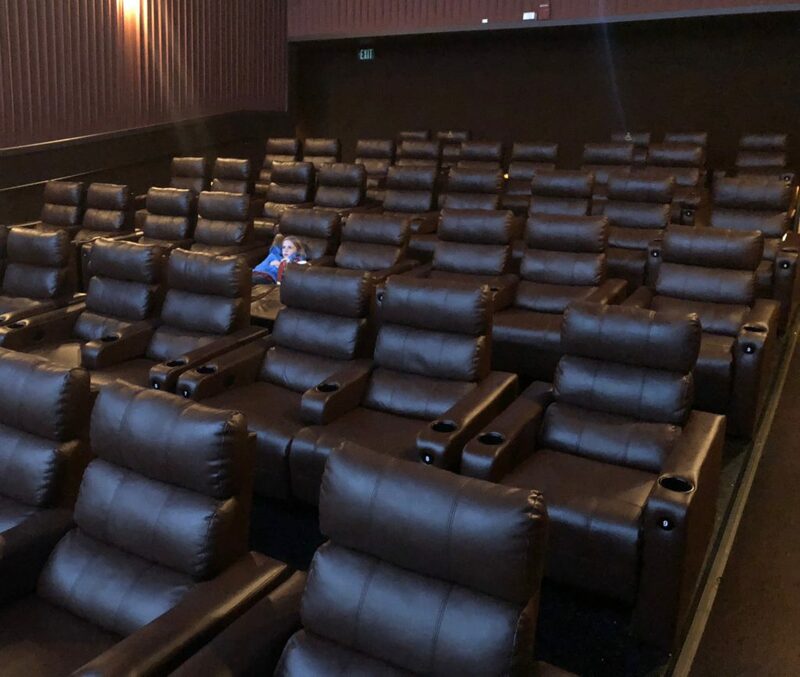 and finally, in a brilliant move, we went to see smallfoot at the theater. we had the place to ourselves and i was worried i would fall asleep, but the movie was super cute and i was riveted. we picked up the mom. drove home. crashed. and began new gramma festivities in the morning. first things first. 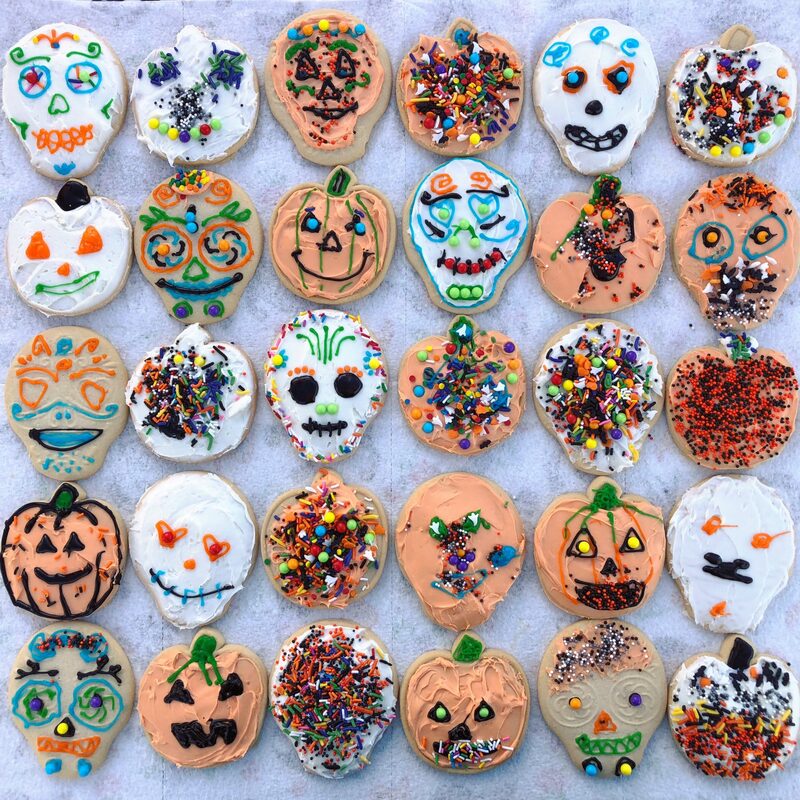 halloween cookie decorating. anna put my mom to work, learning and stuff. they are both nerds. 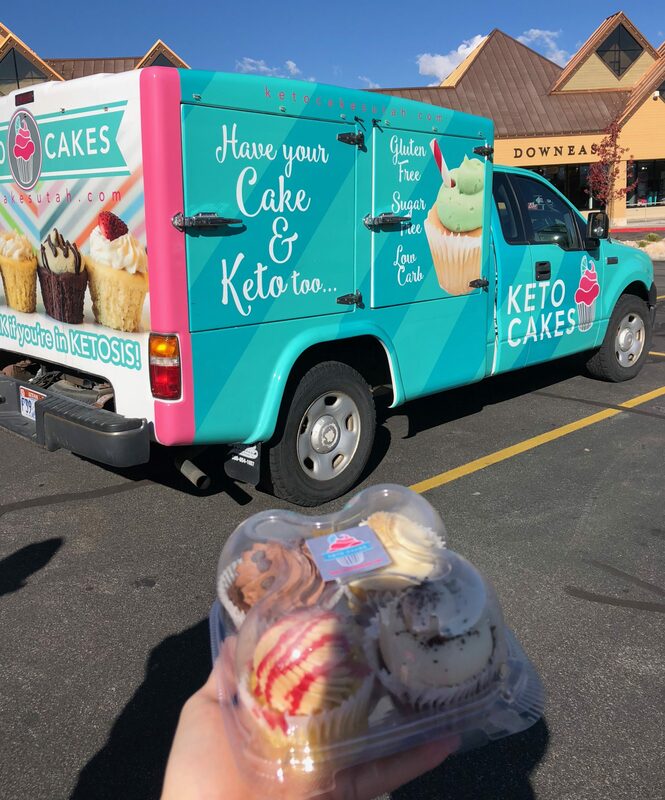 somewhere along the line in my keto journey, i have learned of a salt lake city bakery that makes keto cupcakes and then delivers them to various drop off points around the area. the first week we were in town, there was no delivery near us and the schedule was wacky because of fall break. 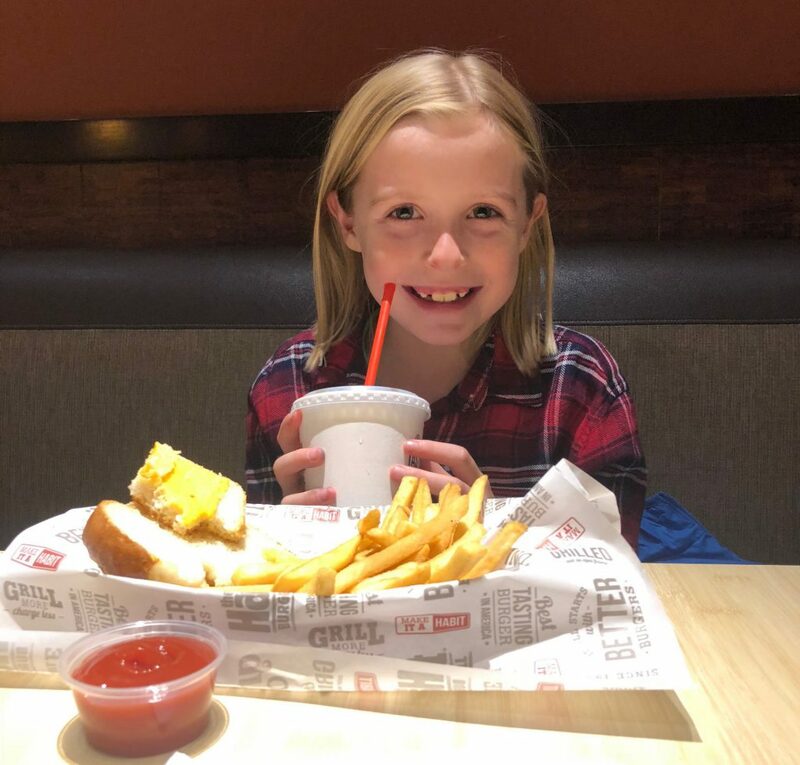 but, during the week with my mom, who is also keto, we were able to order them, and the pickup was pretty close to us, relatively speaking. we bought a variety pack and a four pack of just pumpkin pie flavors. 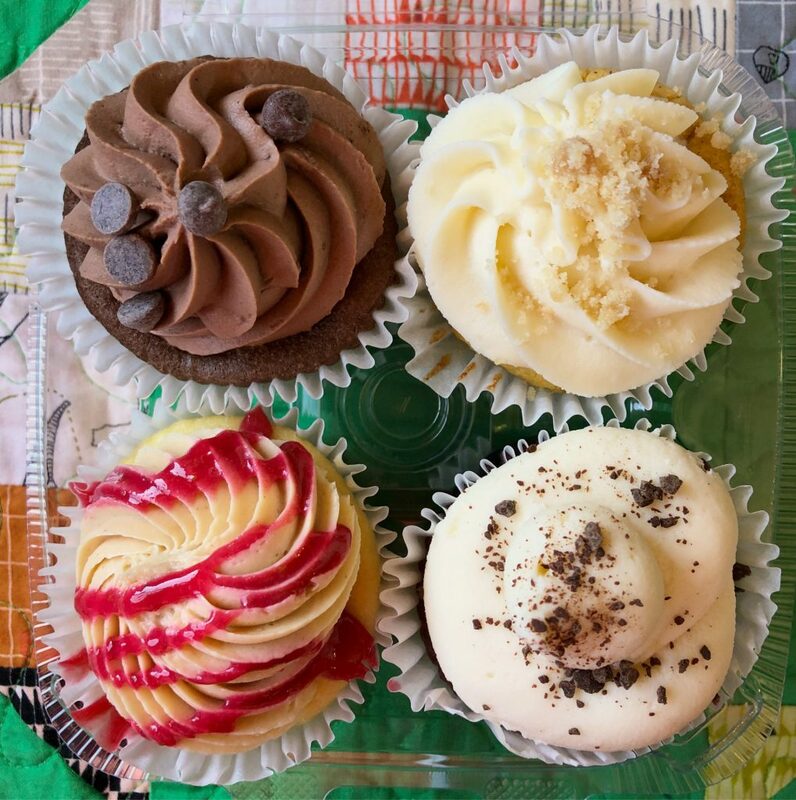 i wanted to eat them all at once, but we paced ourselves. 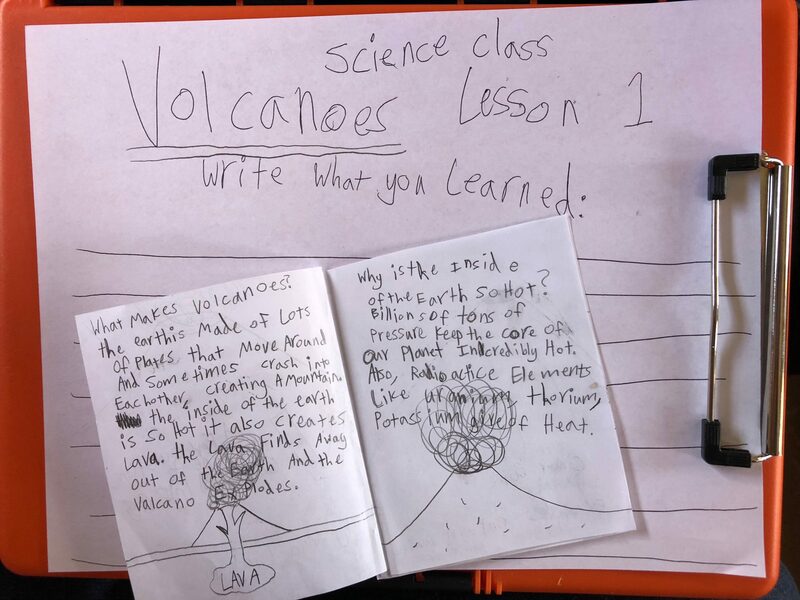 they were definitely best on the first day, and the pumpkin pie was my favorite. i’m still having dreams about it. the other flavors were peanutbutter and jelly, chocolate mousse and red velvet. 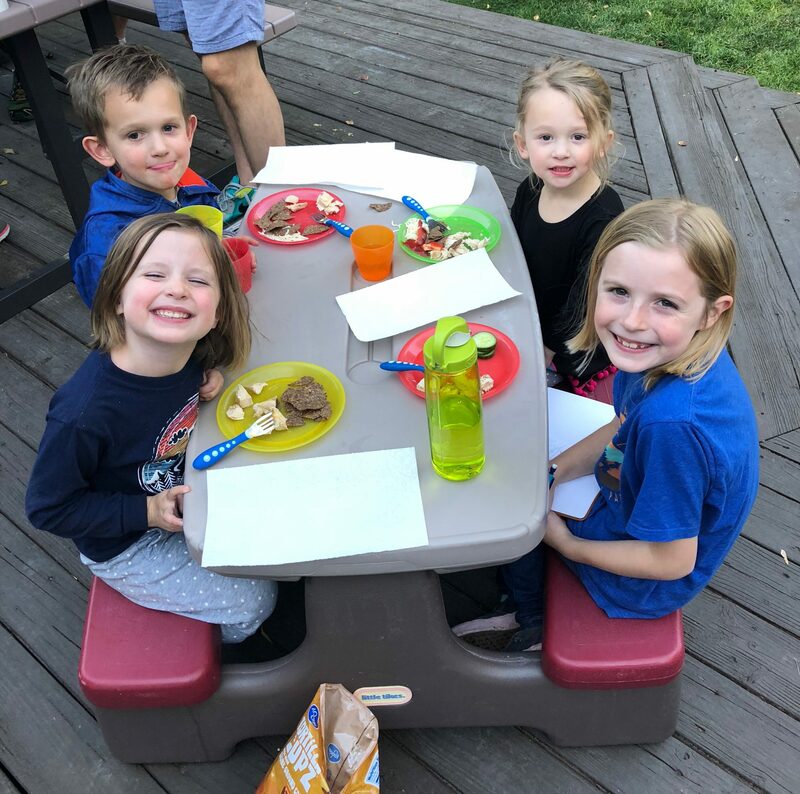 so, i don’t actually have much else to report in this post about our time at this campground. the girls and i took my mom on a quick two day trip out to arches national park, which i’ll blog about later. and we had a pumpkin patch day. and then a day of adventures in salt lake city on the last day when derek took the camper to the next campground we stayed with my mom at a hotel near the airport before she left on an early flight the next morning. so. i’ll post a million pics of all that stuff soon. 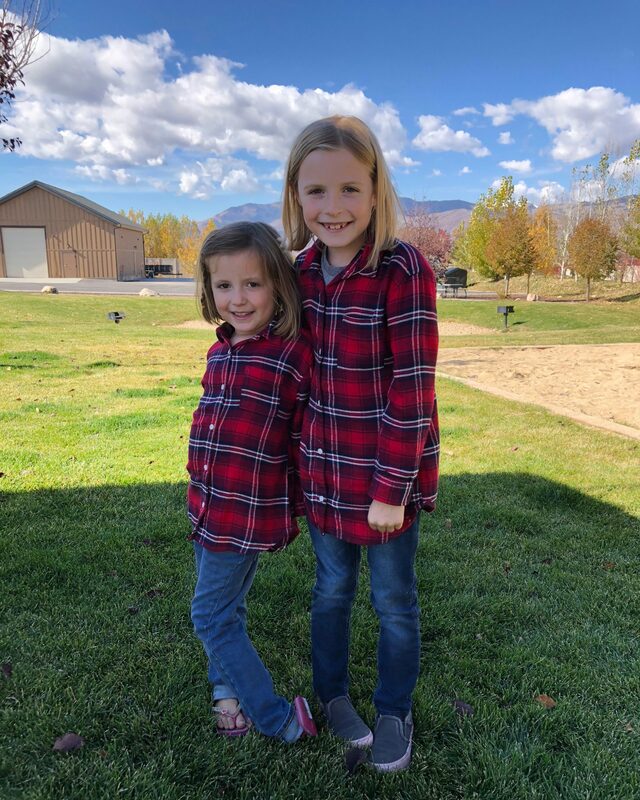 but for now, here’s anna and hazel in their super cute matching flannels and skinny jeans and i can’t stand the cuteness. 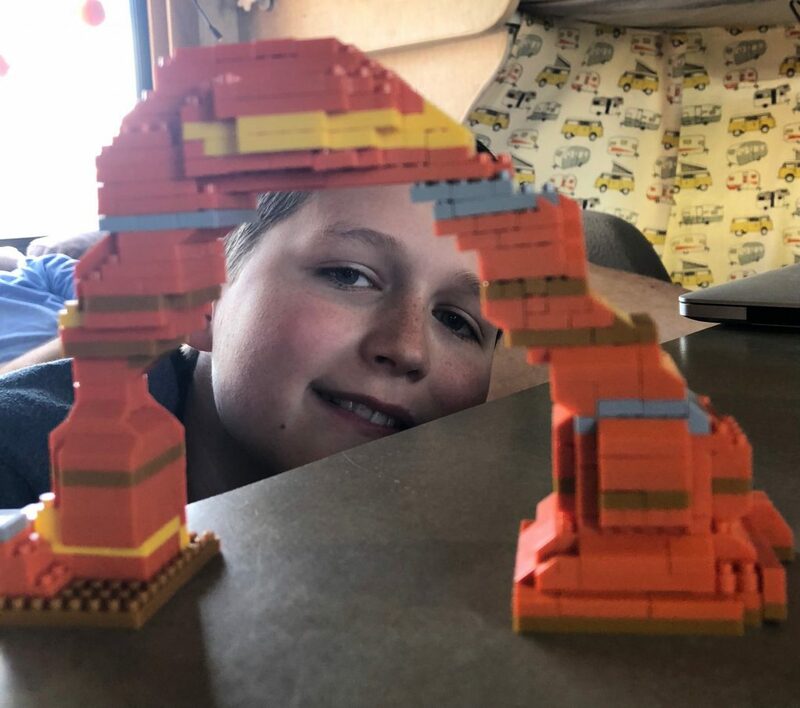 lastly, here’s a shot of ike, after completing a little fake lego set of delicate arch that my mom brought back for him from our arches trip. a black and white (and orange) quilt for the nephew to be.